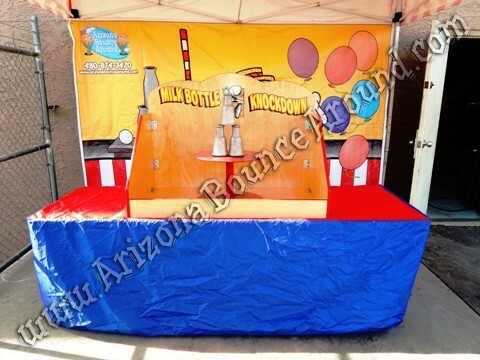 Our Milk Bottle Knockdown game comes complete with 1 metal stand, 3 Aluminum milk bottles, 4' wide wood case and 3 softballs or heavy duty bean bags. This game can be played on the ground but its much better on a table. The table and table skirt are not included in the milk bottle game rental price. 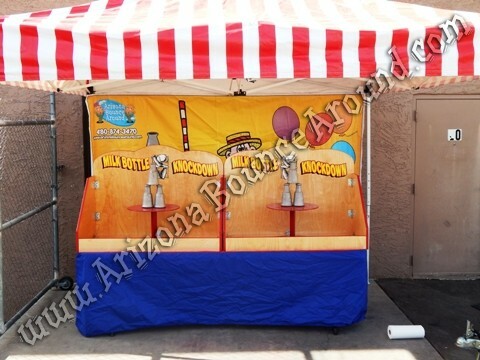 Add a 10 x 10 carnival booth with or without LED lights for a awesome looking carnival. 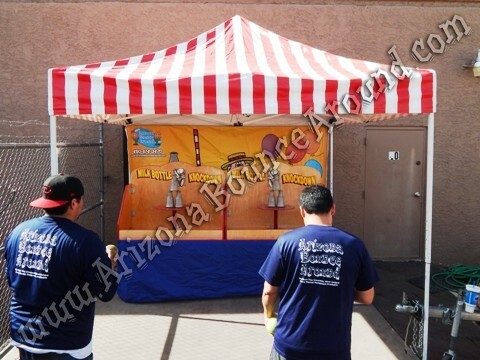 We have a huge selection of classic carnival games to choose from as well as a full line of concession machines and carnival rides. 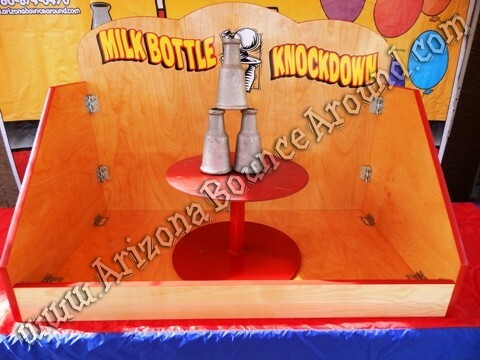 Our Milk Bottle Knockdown game comes complete with its own wooden case to stop the falling bottles and contain the balls or bags. You can put up to 2 of these games on one 8' table because each game is 4 feet wide. Here is on game on a 8 foot table inside a carnival booth with backdrop. This carnival game can be placed on the ground but its much better on a table. 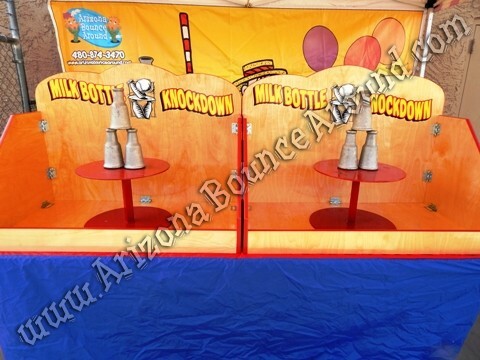 2 of these milk bottle games will fill up a carnival tent and look amazing at your carnival themed party or event. 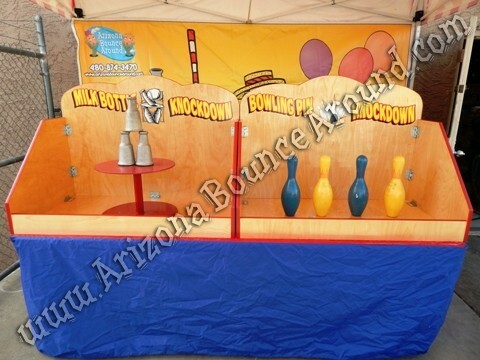 This is one Milk Bottle Knockdown game and the Bowling Pin Knockdown game on a 8 foot table with table cover all nicely placed inside a carnival booth.